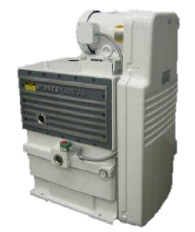 The Stokes 412J-14 is the current production model of the 412 Series which are oil flooded Rotary Piston Pumps used in many industries, including Vacuum Heat Treating, Sintering, Vacuum Arc and Induction Melting, as well as others. Although all internal parts are interchangeable with the 412H-11 series, many changes have been made to the external components in order to make the product less expensive to manufacture. These changes have in many cases made the pumps more difficult to use and repair. For example, the oil lines are now cast into the block – making them very difficult to clean when they become restricted. In addition, the side plates, which are often damaged by contact from the cams, are twice as expensive to replace. As well, the cover/inspection plate is made of cast aluminum as opposed to the steel plates on the H-11 series pumps, and the sight glass on the J series pumps is actually affixed to this plate using three screws and an o-ring. In the event of excessive back pressure in the exhaust box, this plate can actually shatter and create a safety hazard. Finally, the J series pumps also use a pinwheel type oil flow indicator as opposed to the H series glass dome & ball assembly. 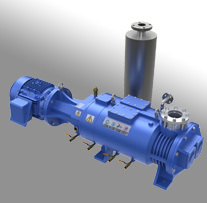 When the J series pump oil is cold, this pinwheel flow indicator is not capable of performing its function, making it impossible for the operator to detect proper oil flow. For these reasons, customers currently using 412H-11s should use caution when considering accepting a 412J-14 as a replacement. For an unbiased assessment of your needs, feel free to contact Trillium to discuss the pros and cons. DID YOU KNOW? 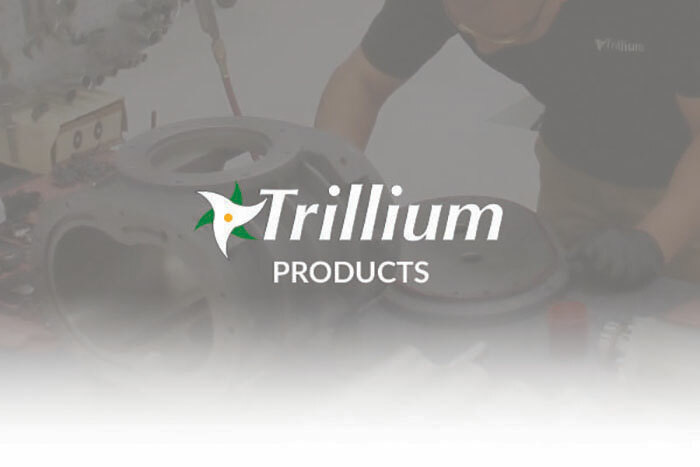 Trillium not only refurbishes but also services and repairs the Stokes 412J Piston Pump. Visit our Piston Pump Repair Page for more information. All 412J-14 Series pumps share the same data below. Download the full manual below.